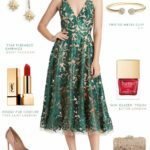 One idea for what to wear when the dress code asks for summer cocktail attire! Shopping sources noted with links in italics use affiliate links from our sponsors and retail partners. It has been one of those hot summers, and even though some kiddos are already headed back to school, there’s still several more weeks of wedding season, and it looks like it’s going to be a scorcher! 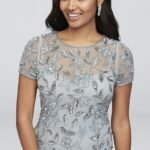 If you’re holding a few invitations where a dress code of summer cocktail attire has been requested, I have a new favorite dress to fit that bill! It’s the one featured here – the Domino Midi Dress, and it comes in all sorts of summer colors, and a few for fall too. 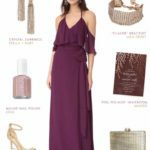 It looks like such an easy dress to slip on and go to late summer and fall weddings and receptions after 5, but it also has the ability to stand up for daytime or late evening weddings. 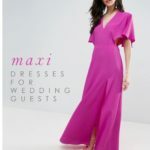 It’s the silky stretchy fabric that makes it just the right mix of a bit dressy and sultry – it’s definitely a compliment-getter – but the midi length and pretty color makes it still very wedding appropriate! 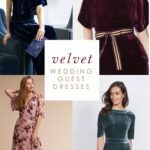 So what is cocktail wedding attire? For women, I think it’s any sort of chic dress or ensemble like this. 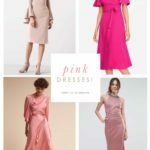 A sleek dress of a shorter length, (although a dressy maxi or a sleek skirt and top combination can certainly work for cocktail attire.) For men, a dark colored suit with in most cases with dress shirt a tie for a semi-formal wedding, but for more casual events, a patterned shirt, is appropriate. And if it’s just for a very casual wedding or an invite after work cocktails just a suit over a dress shirt worn with one button open at the neck is a nice look too! So, back to this yellow dress! I particularly love the front draping – which gives it cinched in shape, but also looks loose enough to be forgiving and airy and cool to wear on hot late summer nights. The other great detail is the spaghetti straps, which are always lovely in the summer and such a popular neckline right now. A bright color like this shade of yellow, called Marigold can stand up to some other bold colors like orange, vibrant blues, and pinks – making it the ideal color for late summer or a destination wedding guest style. If yellow isn’t your color, check out the array of shades this array of shades this cocktail dress comes in – mint, navy, pink olive, and many more! 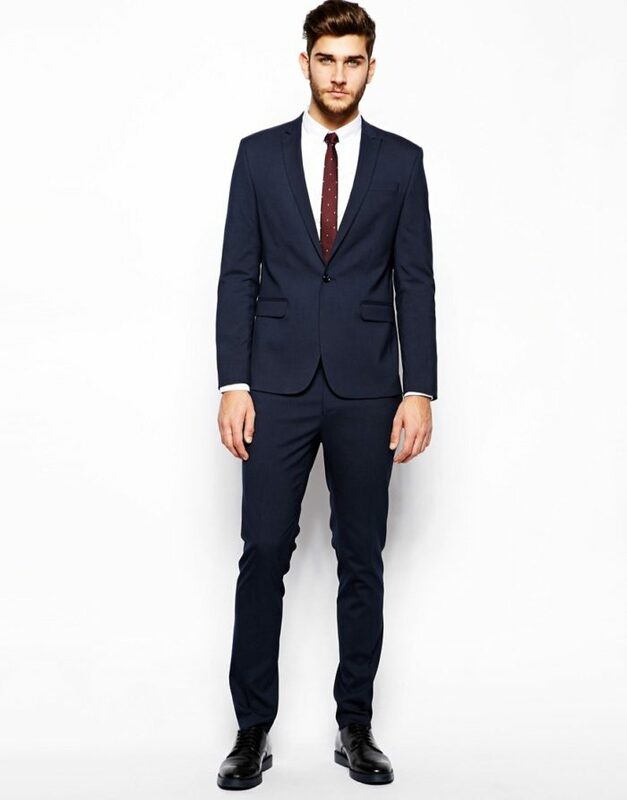 It’s also available in a longer-length if you need a more formal black tie look. More cocktail dresses for cocktail wedding attire are in the shop section below. 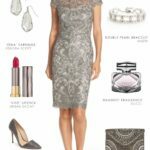 You might also like so see dresses we’ve picked for semi-formal weddings, or fall wedding attire. 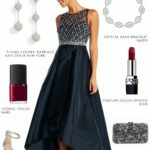 Shopping sources in shop sections and links in italics denote sponsored affiliate links, which mean we may earn a small commission on qualified sales to support this blog.